Indigenous Business Australia (IBA) is on a path of growth in which we are expanding our offering, innovating through new product development and continuing to build impactful partnerships with Indigenous communities and the private sector. We are deeply invested in the financial success and economic independence of Aboriginal and Torres Strait Islander people. While we must maintain a strong focus on performance and achieving the goals we have set for ourselves, we must recognise that the aspirations and needs of our customers— Indigenous businesses, communities and families—are not static. This in turn means that we must continue to innovate so that our products and services keep pace with change, offer the range of solutions our customers seek, and are delivered in the most effective and accessible manner. 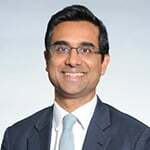 We will ensure that all new initiatives are evidence based (that is, they meet an identified need), are underpinned by a strong business case and costings, and are measured against appropriate targets and objectives. And we will continue to work with key stakeholders and build onto our strong partnerships to better meet the needs of our growing markets. In recent years, IBA has shown that it has the capability to launch and deliver new initiatives, such as new investment funds, financing products, online assistance tools and platform enhancements, which contribute to enhanced service delivery and outcomes for our customers. In the coming years, we expect to expand and enhance our offering across all that we do to assist Aboriginal and Torres Strait Islander people to realise their dreams. This plan outlines our path and intentions to achieve these goals. As the accountable authority of IBA, the Board presents the IBA Corporate Plan 2017–18, as required under section 35(1)(b) of the Public Governance, Performance and Accountability Act 2013 (PGPA Act). 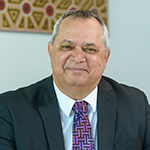 The plan is consistent with the obligations arising from IBA’s enabling legislation, the Aboriginal and Torres Strait Islander Act 2005 (ATSI Act), and was prepared in accordance with the Public Governance, Performance and Accountability Rule 2014. This plan covers the period 2017–18 to 2020–21, and replaces IBA Corporate Plan 2016–17. Australian Indigenous art is one of the oldest unbroken traditions of art in the world. 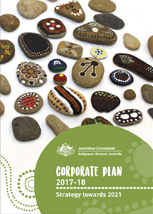 With respect and in recognition of that tradition, the painted rocks used to create the design of this publication were made with pride by IBA staff members during 2016 Reconciliation Week activities. IBA has taken all reasonable steps to ensure that the contents of this publication do not offend Aboriginal or Torres Strait Islander peoples. © Indigenous Business Australia 2017. All rights reserved. No part of this document may be reproduced or transmitted by any person or entity, including internet search engines, in any form or by any means, electronic or mechanical, including photocopying (except under statutory exceptions provisions of the Copyright Act 1968), recording or scanning, or used by any information storage and retrieval system without prior written permission from IBA.